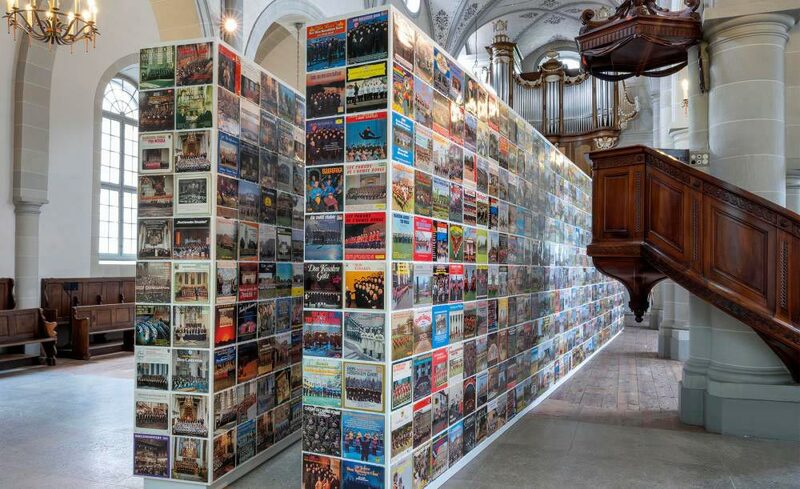 Dutch graphic designer, advertising manager, editor, collector, exhibition curator and artist Erik Kessels is well known for his versatile projects. He is a creator of the digital age who, in his work, pays close attention to the most popular or trivial forms of photography. May this be family albums, commercial documentation or others, normally rejected by canon-defining museums. 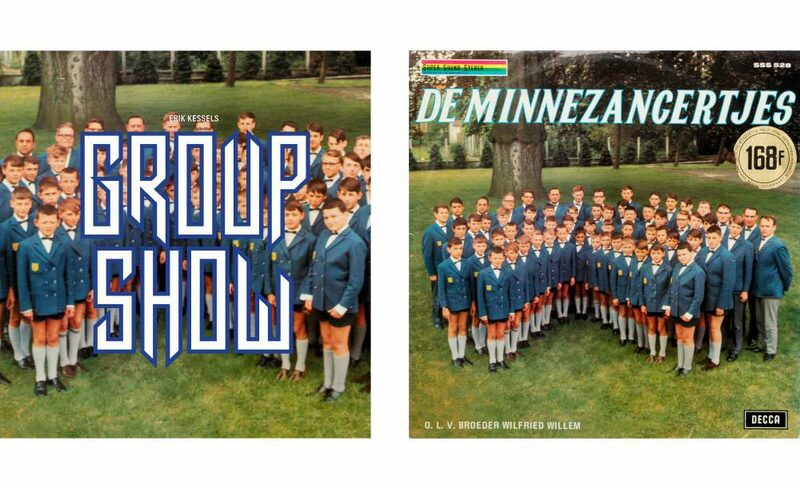 In his newest exhibition “Group Show” he shows an extensive collection of ‘vernacular’ vinyl records with, simply spoken, large groups of people on the cover. His fascination by being able to photograph these choirs, folklore bands or regional ensembles and the challenging ways behind it, as well as the typology and multitude of photographs and covers that has come out of it, made him create a multimedia project with the extensive materials he found. Resulting in a soundtrack and an impressive installation. Kessels says that the work is a representation of the renaissance of imagery we live in nowadays and the clutter of impulses and information that flood us on a daily basis. Celebrating like-minded beings that have found each other in their shared musical passion. Group Show was first shown in Saint-Claire church in Vevey Switzerland in September 2018. How did you come up with the idea for group show? Erik: For years I’ve been fascinated about the amount of information we live with everyday. We need to function as editors on a constant basis, choose what to see, read and listen to. This accumulation and overdose of images and sound is represented in the Group Show exhibition. The amount of information on solely one of those records is tremendous, not to think about seeing thousands of them and having to listen to them all at once. How long did it take to collect all these vinyl records? Erik: I started to buy these records about half a year before the installation. I’m not a collector of records, but started out with the idea and then looked for them excessively later on. The more I found, the better the idea started to work out. How many records are featured in the exhibition and how long is the soundtrack you compiled from all these records? Erik: The total amount of records in the installation is 2000 pieces, they’re from different parts of Europe. Funny enough, the first ever records for this work I bought in Vienna. The soundtrack is about 30 minutes long and has a little bit of a build up in there, starting to get pandemonic at the end. What fascinates you about photographs of choirs, regional ensembles and folklore bands? Erik: There’s a certain naive and vernacular quality to these photographs, which I enjoy. The fact that a photographer has to portrait a large group of people forces him or her into a particular solution. Examples of this are, for instance, a large open field, large stairs in front of a monumental building, a beach or a city square. Alas the photographer needs to have a slightly higher position and is forced to create attention from the people he documents. Other than the photographs, there’s a great aesthetic to be found in the typography and design of these vinyls. Why did you choose a church as showroom for the exhibition? Erik: It wasn’t my first intention to put up the installation in a church. The Festival d’images in Vevey, that showed the exhibition first, came with this suggestion. I knew this location, because I had shown a piece called ‘24hrs of Photos’ in this venue in 2014, so I was very excited about it. Especially the sound piece worked very well in the acoustics of the church. Can you tell us a little bit about the history of the vinyl records? 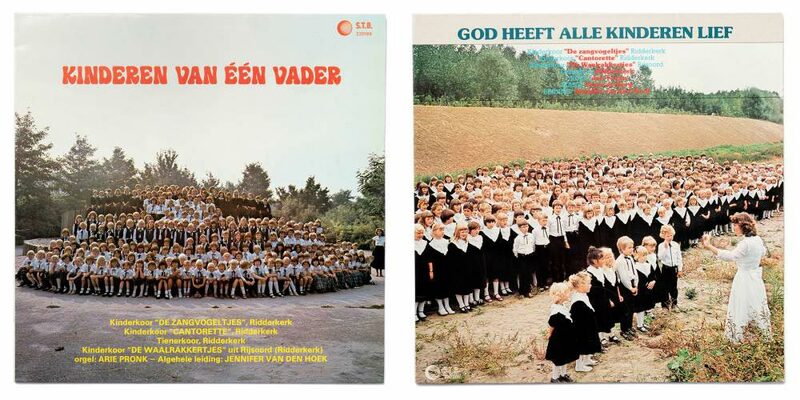 Record covers which feature photographs of folklore bands were widespread from the 50ies to the late 70ies/early 80ies. Why do you think these covers were so popular during that timespan? Erik: Many of these records have a regional origin and were on a large scale production in the 60ies and 70ies. The market for selling these records were regional as well as provincial. 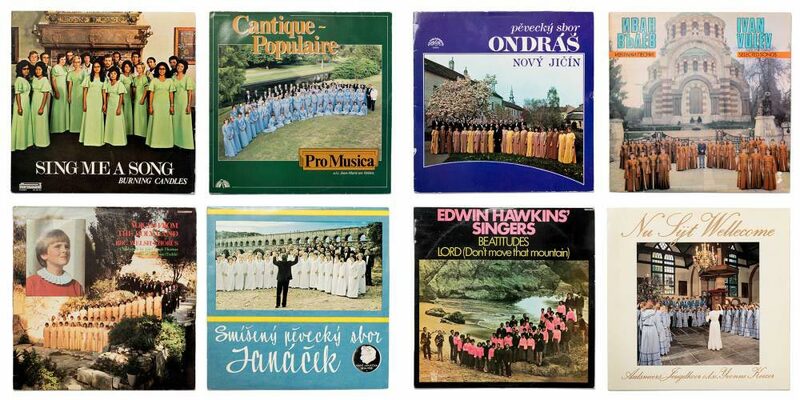 Often sold to people living close to the local choir or folklore band, these records never reached a larger public. 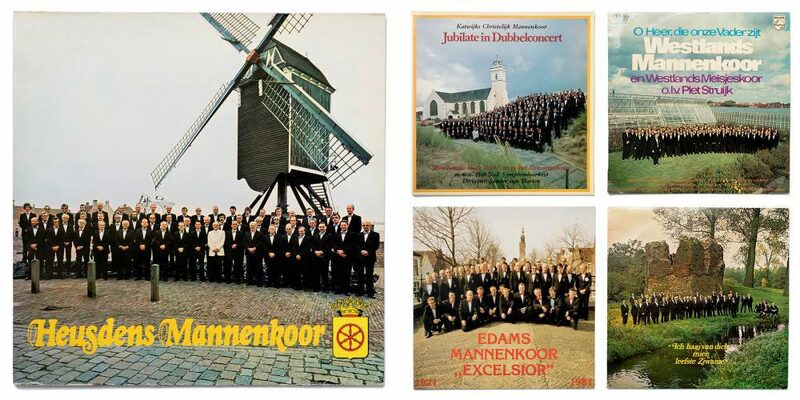 The popularity of religion in the 60ies and 70ies generated a lot of male and female choirs performing in churches and pressing their music on vinyl. Records with large groups of people on the cover celebrated a renaissance in rap music of the 1980ies. Do you see similarities between the folklore music scene and the rap music scene? Erik: I think you can find similarities between folklore and rap music in the fact that they both create some kind of community. A community for having the pleasure of making music together. In music styles and genre, those to have absolutely nothing in common. 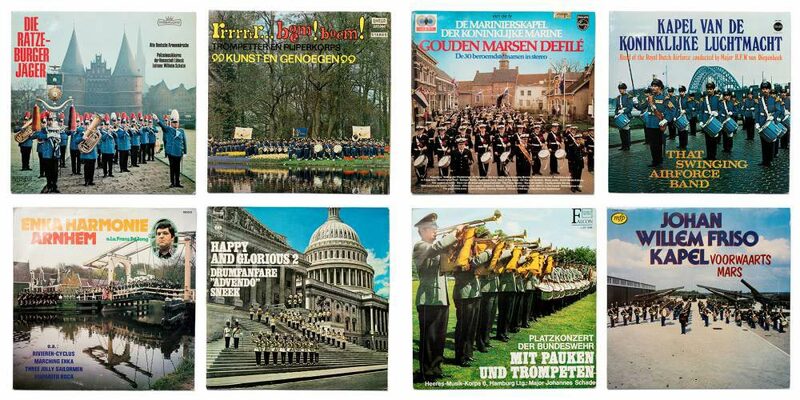 But the music from choirs and folklore bands is a very nice material to mix. It’s such nice music and material to mix that I’ve even tried it myself! Taking advantage of the extraordinary abundance and availability of images today, Kessels sifts and recycles cast-off materials. 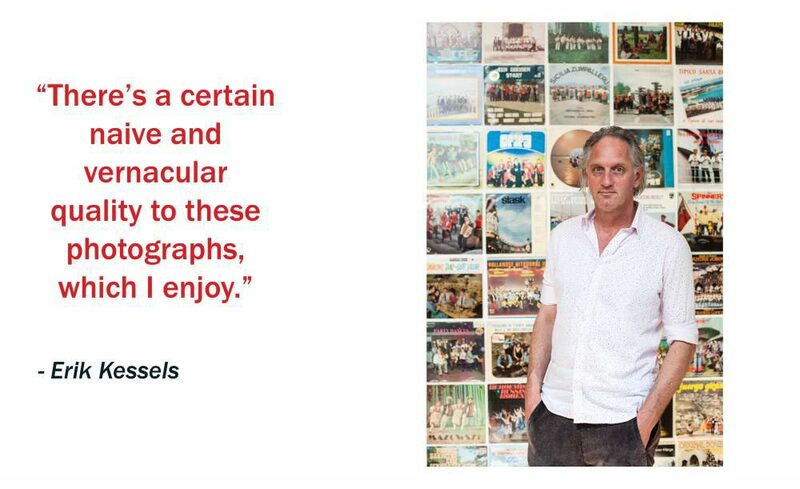 Furthermore he is well-known as a book publisher specialising in absurdist found photography, extensively publishing his and others’ found and vernacular photography. Erik has published over 50 books of his re-appropriated images. Visit the Website of Erik Kessels’ Agency, or their Instagram and Facebook!